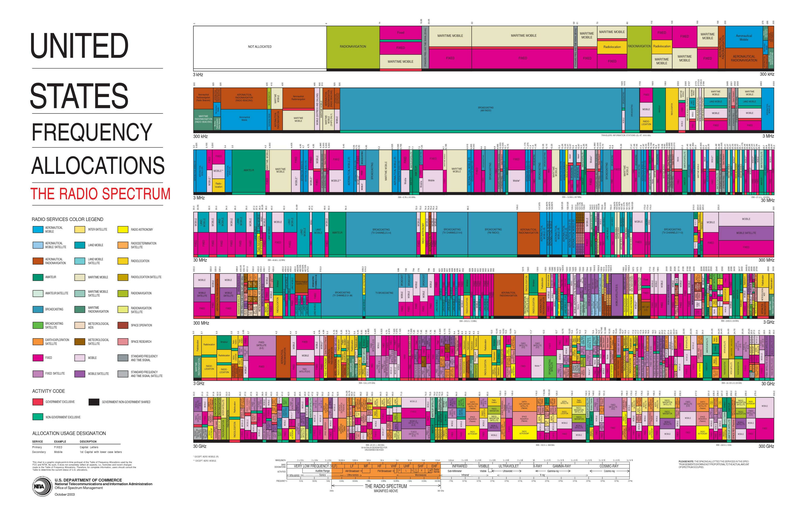 Here's a handy frequency allocation chart for the US. Other countries have different allocations, so if you're not in the US, you'll have to find the chart for your country. This comes in handy if you have a transmitter (or active receiver) or a noisy circuit and you don't want to step on government-allocated frequencies. They tend to quickly find and clamp down on those. It's a large image (5040 x 3225 pixels). Open it in a separate browser tab and enlarge it to full size to see it in detail.